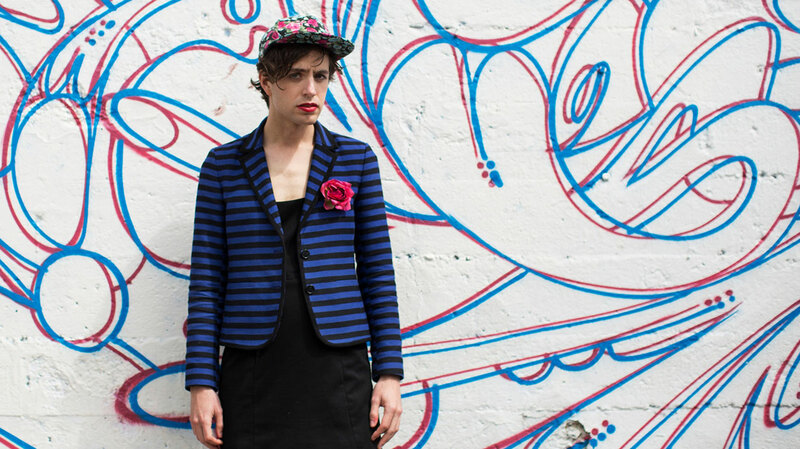 Ricocheting restlessly between glam and garage rock, doo-wop, skiffle and alt-country, and tackling the weighty issues of religion, depression and gender, Ezra Furman's third solo album is his finest to date. We caught up with the Chicagoan singer to hear the story behind Perpetual Motion People. Hi Ezra, a massive congratulations on the new album – it’s fantastic. How are you feeling about it? Pleased. I really like it. I wanted it to be the greatest album ever made, and so I’m disappointed in that sense, but it’s the best album I ever made so I guess I’ll take that. It’s really a lot of fun to listen to, I think. And sometimes we cerebral songwriters forget to make our albums fun to listen to. How soon after finishing up touring Day Of The Dog did you start work on Perpetual Motion People? Oh, I was writing before. As soon as I finish recording an album I start writing new songs; it’s a constant thing for me. But I think it was last summer that we started to make "Lousy Connection", and after that tour in August we went in and made the whole album. I had, like, a hundred songs, so it was hard to choose between them. I just ended up having to choose the best ones, rather than trying to make some kind of concept record, or mood piece. Sometimes a lot of variety is really enjoyable. 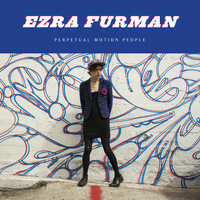 Perpetual Motion People is definitely diverse, hopping between styles and moods from song to song. Was there any kind of blueprint? I mean, I just know there are some albums that are really fun to listen to and that just feel like they’re in full color... The last Vampire Weekend album sounds that way, and I was listening to Odelay by Beck a lot. You know, these albums that are so freewheeling-ly diverse? If they were pictures, they’d be all the brightest, high contrast colors. Maybe it’s weird to talk about albums in terms of color, but that’s the kind of album I wanted to make. It’s a kaleidoscope, rather than a moody photograph or a blue-tinged Picasso painting. In an interview with the Guardian, you described Day Of The Dog as your manic record, and The Year Of No Returning as your “depressive record”. Where does Perpetual Motion People sit in that equation? Well, without getting too conceptual about it, I was sort-of thinking of this album as the third in a trilogy of the first three solo albums. So while that first album was depression and the second was almost mania, this one is me trying to integrate the whole personality, you know? As dark as some of the songs are, I think the general effect of the album is joyful. There’s a lot of joyful enthusiasm, even in a really downbeat song like "Hour Of Deepest Need". The line, “Let that sucker bleed,” is me leaning into these emotions a little bit. I’ve been working on not trying to pretend like my effective moods aren’t happening, because that makes them worse, actually. If you really let in the sadness or anger or anxiety – if you soak in it for a second – it’s actually not as bad. You just let it have its moment and then it goes away, instead of trying to swat it away. I’m trying to be a more of a whole and integrated personality with a full range of emotion, so this album may be a synthesis of the last two in a way. On "Watch You Go By", you sing, “I’ve got a bright future in music, as long as I never find true happiness.” Is that lyric entirely tongue-in-cheek, or do you think there's some truth in it? That’s what I think at my lowest, and with that song I was trying to write from the perspective of drunk despair. I don’t really believe that at all. That thing about needing emotional turmoil to make good creations… (Laughs) I don’t know, that’s not true at all for me. When I am not doing well, that’s when I can’t write anything. I think it takes a lot of energy and focus and enthusiasm to create a song and finish it, and if you’re wreck – like I sometimes I am – you can’t do it. So that line’s me buying into the myth in a moment of despair. Nor do I believe in despair; it’s an illusion you get sometimes when you’ve been drinking for too long. There’s an awful lot of hope and positivity on the album too – the track "Ordinary Life" really stands out in that sense. Yeah, that one’s a little more sincere so I can stand behind that a little more. It’s tricky to write a hopeful song. Maybe part of that line in "Watch You Go By" is that if I write hopeful music nobody listens to that. Who wants to hear somebody saying things are good? I don’t know, you start to worry that people want you to be messed up. And, I don’t worry too much because I don’t care as much what people think as I used to. I used to care a lot harder. After a while it’s like, you get a good review, you get a bad review: it has really nothing to do with whether you’re doing your job well. One of the recurring motifs on the record is this idea of liminality – that you’re always between places or beliefs, and particularly between genders. Can you tell us more about that, please? I could write a book about it. I see ambiguity and independence of labels as a kind of freedom. A lot of the point of this record is to declare myself impervious to pre-existing labels. William Blake said something that I always remember, which is, “I must create a system or else be enslaved by another man.” I just hate and fear the temptation to inhabit a pre-existing cliche. For me, no existing person is the kind of person that I am. And that’s true of everyone, you know: nobody can write your biography in advance. And it’s important to remember that because there are a lot of convenient categories that you could place yourselves into, that would hem yourself in for your whole life. To be an artist, for me, is to declare yourself free; to insist on your freedom and to insist that those pre-existing clichés don’t apply. So that’s why I like ambiguity. It’s the thing between categories; you slip through the cracks and they can’t quite touch you. I might do anything next, and I feel like this record gives that sense to people. You really couldn’t tell what the next song by me is going to sound like. You alluded to this being the final part of a trilogy. Are you anticipating doing something particularly different next time? "Haunted Head" strikes me as weird, in a way that I really enjoy. And I feel good about those lyrics; I feel like I did a good piece of writing there. And also it has those nice low voices, and my favorite sound is the low register of the human voice. Is there anything you’ve learned in the process of making Perpetual Motion People? Hmmm.... This has happened before, but it’s always surprising to go into the creative process with a certain idea of what a song’s going to sound like, and you end up with something totally different. That happened on a few of these. Or, like, which songs are gonna end up good. I thought "Tip Of A Match" was going to be a throwaway, but Jorgen [Jorgensen] the bass-player was like, “No, no, no – that one’s got something.” Or take "Ordinary Life" – that was not planned as an acoustic song. I thought it was going to be entirely different, with rock drums. This time I went in with a bit less of a plan, and less of an idea of what the record as a whole should sound like, and that was actually really great. It caused a lot of moments of discovery and exploration. It was like having a look around in a dark room; we really didn’t know what this was when we began it. Once we began to see what it was, we knew what we were doing. Is the creative process quite collaborative, then? Well, I write the songs and I have an idea of what they’re going to be but just playing something for the first time with other people you learn things right away. Or somebody comes up with some amazing guitar part, and you have to restructure the song a little bit. So, yeah, it’s quite collaborative musically, everyone comes up with parts. These guys in my band – The Boyfriends – are good. They’re people that know music and have played in lots of bands and know what they’re doing, more than I do. Were there any influences that might surprise us? Well, you know the song "Can I Sleep In Your Brain"? I thought I saw that on a record lying around the guitar player Ben [Joseph]’s house. It turned out to be a Hank Williams song called, "Can I Sleep In Your Barn Tonight?" Which is a great song. I just thought of brain, and was like, “Boom – that’s the greatest song title I’ve ever heard.” (Laughs) That’s an exaggeration but... I mean it’s all stolen, but everything’s disguised. That’s where original ideas come from: you fill your head with other people’s ideas and they combine and mutate. So is the plan for the rest of 2015 a lot of touring? Well, yeah, but I can’t tour all the time. It’s tricky for me to be on tour sometimes. It’s hard. I get crazy with no time to myself, and all that exhaustion. So there’s some touring and then there’s some time at home. And of course, I’ve already started new songs and I’ve just got to keep working on those. To me, that’s my most important job. If for some reason I couldn’t tour anymore, I would still have to write. That’s what I do. You’re now on your sixth album and third solo record. Are you motivations for making music the same as they were when you started out? Yeah, I think it is. It’s a craving; like it’s a craving for a record that doesn’t exist to exist. Sometimes I think it’s not going to happen again – like I won’t have that creative urge again – but then I’m like, “Ooo, I wish that this kind of song existed, and I could do it.” It feels a lot like thirst or hunger, for a specific type of food or drink. I’m like, “I know exactly what to do right now.” So how can I not do it? You know? But in a lot of other ways I’ve changed a lot. I used to not care about the band. With my first band, The Harpoons, I was just like, “Listen, you’re the band, you play the band stuff – I don’t care. I’m just going to play what I play. I wrote this song on acoustic guitar and I’m not going to change how I play it. You just do whatever.” And then I would be like, “Yeah, that was perfect. Why would I need to do a second take? I don’t understand? We played the song, that’s all there is to it.” I sort of didn’t understand the impulse to make things as good as they can be. I was just like, “Yeah, you play it once - how much could it change?” (Laughs) I suppose I was just very amateurish and simplistic about it, and now detail and all that stuff really matters to me.